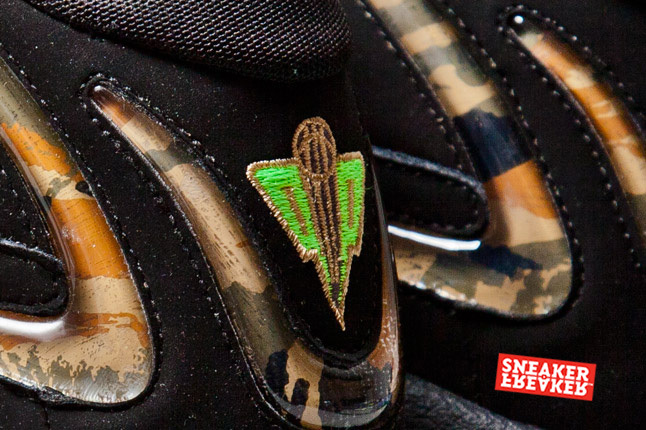 Nike Air Pippen - "Camo"
Nike Sportswear will release the Air Pippen in a new "Camo" colorway this year, adding a unique spin on the classic hoops shoe. 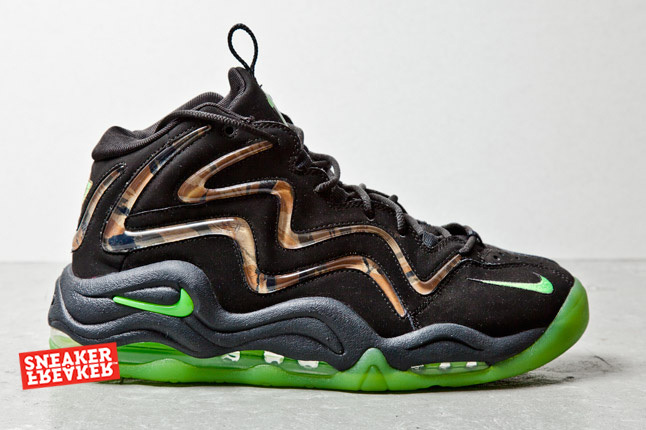 Nike Sportswear will release the Air Pippen in a new "Camo" colorway this year, adding a unique spin on the classic hoops shoe. 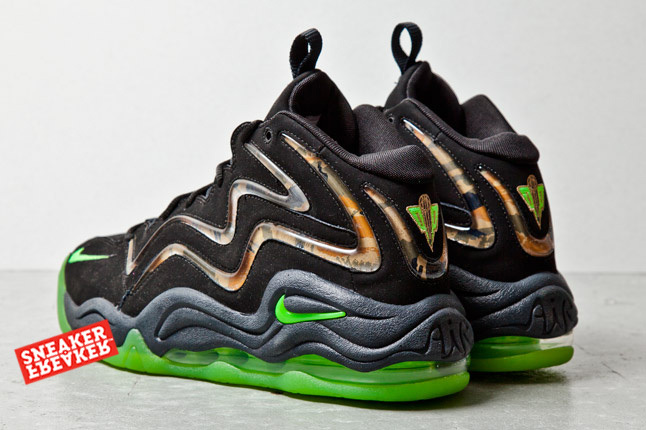 Sneaker Freaker provides the images of the "Camo" Pippen, which features a black nubuck base with camouflage and bright lime green accents. 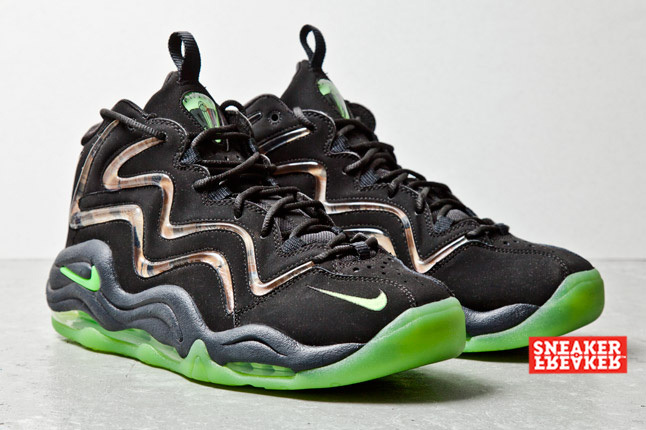 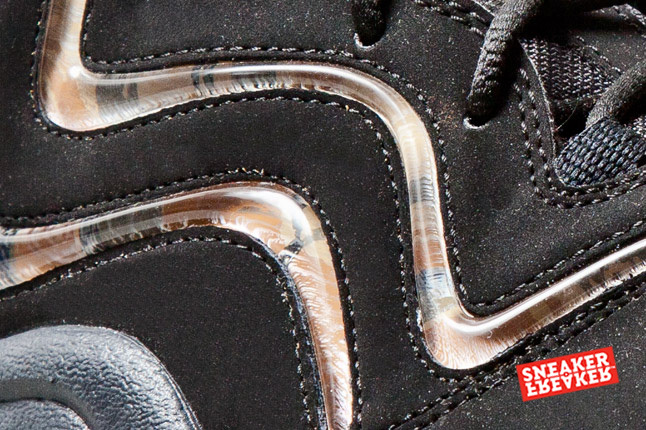 Take a closer look at this upcoming Nike Air Pippen colorway below, and stay tuned to Sole Collector for further updates.